In Part 2 of T.H.O.R. rover build I talked about issue I had with turning. It was clear that they way rover was built it wouldn’t work so I went on researching. As you have probably guessed answer lied in Omni-Wheels. 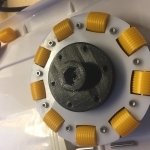 These are very clever wheels that can spin in pretty much any direction thanks to little rollers around the circumference which perpendicular to the turning direction. I found this awesome article that explained the issue I was having. My rover utilizes “skid steer” type of turning (like a tank) and it was creating drag with my 6 rubber wheels. This drag is called “turning scrub”. 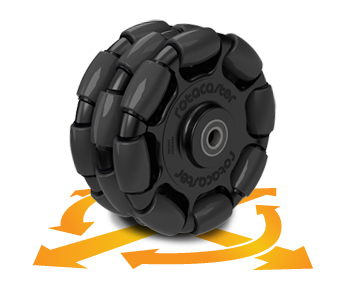 It can be reduce by placing wheels very close together or by replacing some with omni-wheels! Instead of replacing all 6 I decided to keep 2 rubber wheels to increase rover’s friction. 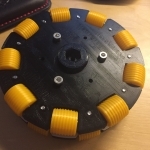 Omni-wheels are not that cheap, so I’ve deiced to use my 3D printers to print them. 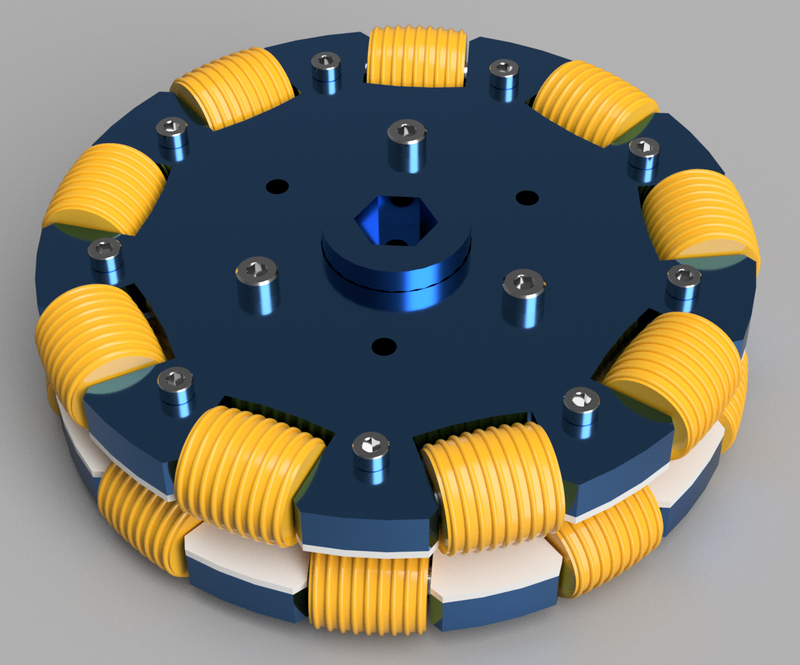 After looking at some schematics I was able to design my own in Fusion 360. 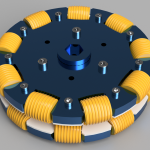 My design was dictated by wheel size (I wanted to match Wild Thumper’s 120 mm diameter wheels) and availability and price of metal pins for the rollers. I found some nice 24 mm stainless steel dowels on Amazon and was able to design around that. With that in mind I needed to make wheel with 9 rollers. I also decided not to use any bearings in the rollers as I didn’t see any need for them in my application. Sandwiching two wheels into one will give a nice alteration of the rollers so at any time at least one will be contacting ground. Also wheel’s hub was designed to fit 12 mm hex shaft adapter that attaches to the motors (same as wild thumper wheels). 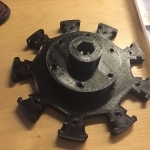 I’ve printed hubs using PETG filament, and laser cut “cover” pieces from 1/8″ acetal sheet. 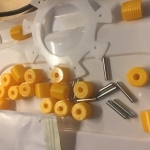 Rollers were printed from regular PLA filament. I’ve also added grooves on the rollers for better grip. Printing these from flexible TPU filament is going to make them even better, so I might do that in the future. You can find complete design on Thingiverse. Printing and assembling these took a while but finally I was happy with the result and gave it a quick test on my crappy first generation rover. Results were better than I expected. Rover can turn in place almost without any drag, and very fast too! Now I knew I was on the right path, so I just needed to redesign rover frame and figure out rest of the electronics and controls.